Airport restaurants are usually quick meals and taste quite bad. Hong Kong airports have the rare exception to provide excellent food since the Kai Tak days. Starting from Prince restaurant 太子樓 that provided excellent dimsum to Hereford steakhouse (closed), I always looked forward to a meal at HKG. Pak Lok Chiu Chow restaurant offered pretty good Teochew food and only a fraction more expensive than down town. But the quality was quite good. 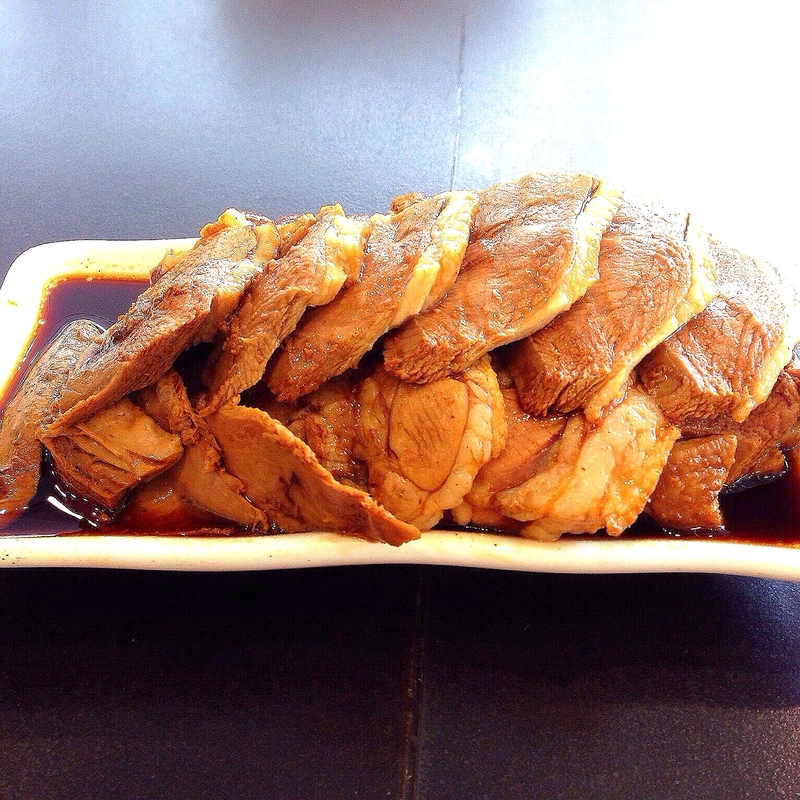 Typical braised goose at HKD 168 was quite a big portion with very tasty (not hard) bean curd. 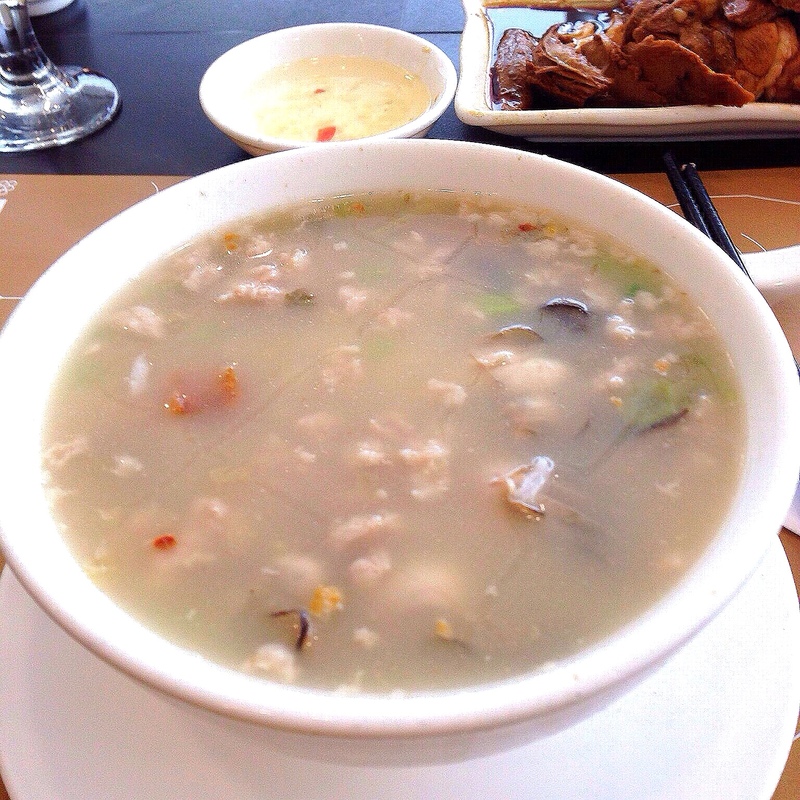 Oysters and dried fish porridge. Very savory and very filling at HKD 98. Enough for two to share. 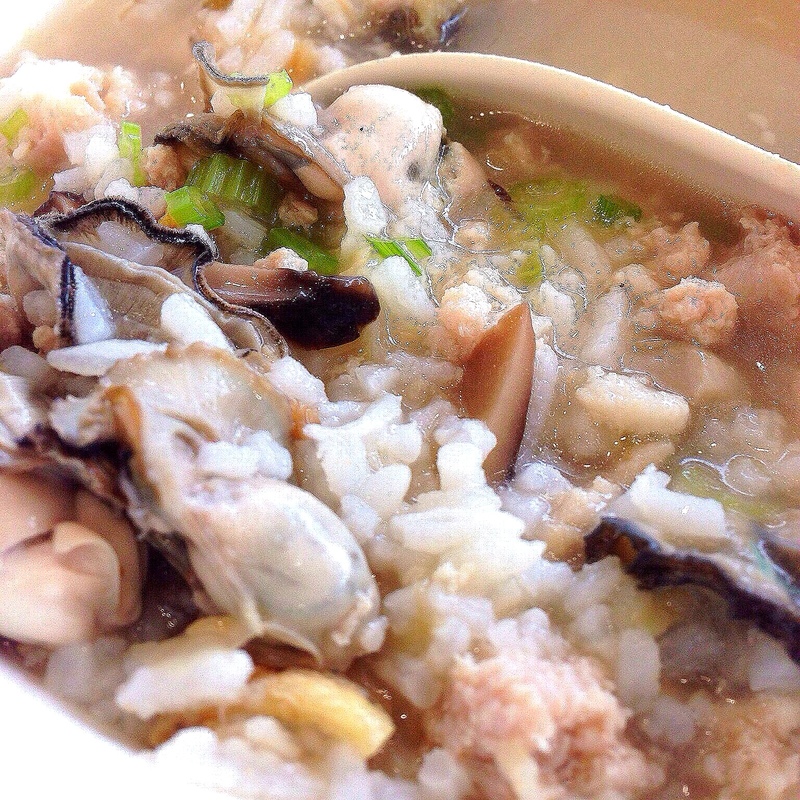 Just look at the plump oysters and generous sprinkling of dried mushrooms, minced pork and dried fish 柴魚乾.